In a recent study the European Central Bank found that households in the Euro area hardly participate in financial assets. Only 5.3% of all households own bonds, whereas 10.1% hold shares of publicly traded businesses. Mutual funds don’t fare much better though with a participation rate of only 11.4%. 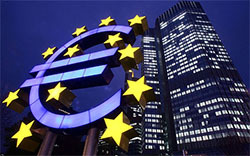 With investor confidence dropping to all time lows following the 2008 financial and sovereign debt crisis it comes as no surprise that the only popular asset classes among most Euro households are deposits and life insurance accounts, even though the ECB hopes to activate these savings with a low central bank interest rate. Investing does indeed remain one of the essential corner stones to building and preserving wealth since both the power of compounding interest and the 4% rule heavily rely on investment returns. Especially if you are looking to reach financial independence or early retirement it is necessary to invest your savings because you need them to generate income in the future. Nevertheless, to most people investing remains one of the biggest hurdles to building a retirement nest egg, mainly because of a lack of knowledge. An investment is, generally speaking, some sort of effort that provides a type of benefit in the future. You can invest in yourself, for example, by going to law school in the hope that you land a well-paying job at a law firm when you graduate. In such a case your current effort of going to school provides you the benefit of a higher salary later on. In finance, investing means that you purchase an asset with the hope that it generates future income or appreciates to the point that you can sell the asset at a higher price point. You basically try to achieve a future profit within a specific long-term time frame. 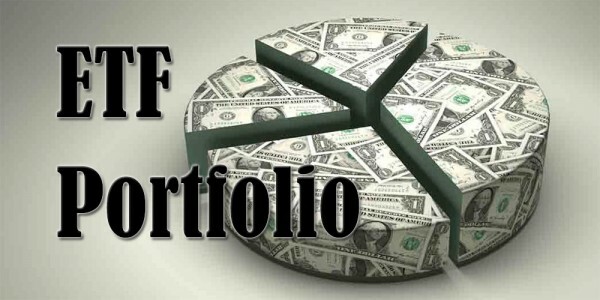 A good investment strategy furthermore diversifies the assets of a portfolio according to the needs and risk aversion of the investor. People invest their savings because they want to increase their personal wealth, their sense of security or to be able to afford more things later on. More and more people also turn to investing because they would like to afford a comfortable retirement. Members of the financial independence and early retirement community use investments as a way to put their money to work and provide an income after quitting their day jobs, much like traditional retirement investing, but at a much younger age. Contrary to trading or speculation, which are short-term practices with a much higher degree of risk associated with them, a long-term outlook is essential to investing. Warren Buffett, the most succesful investor of the 20th century, is famously quoted as saying: “If you aren’t willing to own a stock for ten years, don’t even think about owning it for ten minutes.” This makes sense since wealth creation is highly dependent on compounding interest, which shows its true power in the long-run only. 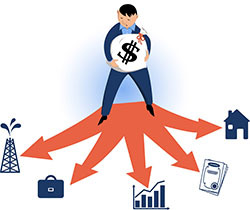 Investors traditionally differentiate between four types of investment vehicles: cash, bonds, stocks and real estate. Contrary to the types of investments below, cash investments are more easily redeemable with no or only a small penalty for withdrawal. Most popular cash investments include bank accounts, savings accounts and certificates of deposits. The downside to the high liquidity of cash is a lower interest rate than other types of investments due to the relative short-term nature of the investment. Bonds are certificates of debt issued by governments or companies. They provide an annual return in the form of interest or coupons until the outstanding debt is payed off. Even though the value of a bond is the same at the start as at the end of the term, its value can fluctuate over time because bonds can be traded on the secondary market. As a result, a bond is quite a liquid investment. 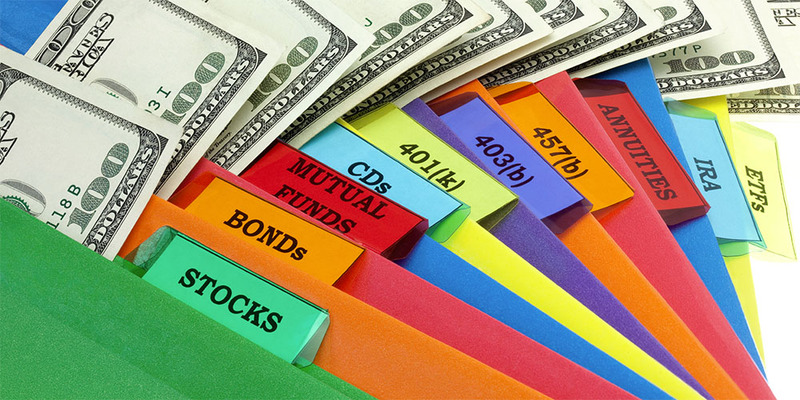 Generally speaking, bonds are considered more risky than cash investments and less risky than stocks. This is because the principal of a bond has to be repaid by the debtor at the end of the bond’s term, except when the issuing government or company defaults. Even then, a bondholder’s payments receive priority over stockholders’ because he has a creditor stake rather than an equity stake. Stocks are probably the best-known type of investment to the general population because most people find it easy to imagine owning a small piece of a company. The total stock of a company, which constitutes the equity stake of its owners, is divided into shares that are often publicly traded on stock exchanges. 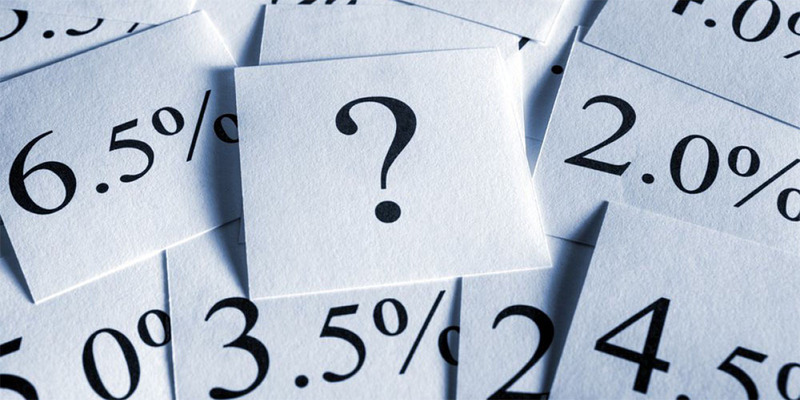 Unlike cash investments and bonds there is no fixed interest rate, even though some stocks provide a fairly steady level of dividend payments. The value of a stock furthermore fluctuates at any given time because its share price is determined by the principle of supply and demand. As a result, stocks have an even higher investment risk than bonds, which is why most people buy mutual or index funds instead of individual stocks. 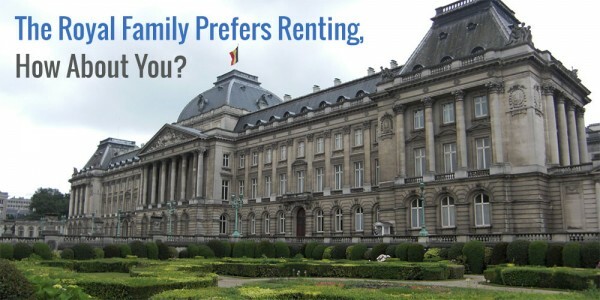 Even though most investors favor a certain degree of liquidity, some much rather enjoy the safety of owning a property for the purpose of renting or reselling at a higher price. By far the most popular real estate investments happen in the residential and commercial sector. Many investors are drawn to real estate because it is the least efficient or organized market of all traditional investments. Indeed, individual properties are not interchangeable themselves, which increases the chance of information assymetries. Even though this provides bargain level opportunities to investors, many overestimate their appraisal techniques to determine fair property value. Real estate is also highly cash flow dependent and very capital intensive. Just like many roads lead to Rome, many investment strategies lead to wealth building. While they all have clear advantages and disadvantages – this is why you diversify your investments as much as possible – increasing financial security without investing is next to impossible. Personally, I’ve taken to stocks mostly. The majority of my investments are in exchange-traded index funds and recently I’ve kickstarted my own dividend growth stocks portfolio. I furthermore own a fixed income life-insurance type account, which could be considered a cash investment. In the future I hope to add some real estate through some Real Estate Investment Trusts. Bonds will probably be added into the mix as I exit the wealth building stage and enter the wealth preservation stage of my life. Because of my current holdings I’m among one in ten Europeans who own financial assets other than deposits and life insurance accounts. Clearly, most people don’t seem to enjoy investing as much as they should. “Investing is risky, I don’t want to lose my money!” is an often-heard excuse, mostly the result of a lack of knowledge or outright fear. Nicola from The Frugal Cottage, for example, recently admitted that investing scares her. Even though she did plenty of research, she is still afraid to make mistakes. Not too long ago I felt exactly the same way, but two things helped me overcome my fear. First, I turned to the personal finance community and looked for bloggers that recently started their own investing adventure. Learning from others’ mistakes is an excellent way to avoid the beginner pitfalls. Of course, don’t forget to read up on some more seasoned investors! They provide invaluable experience and information you won’t find anywhere else. Second, I decided to try things out with a virtual portfolio. I started with an initial investment of €10,000 to see how the entire process of buying and selling stocks worked. After a month I felt confident enough to try things out with my own savings. I haven’t looked back since. How did you first feel about investing? Which investment vehicle or strategy do you prefer? Great idea, Nicola! Only go through with investing if you feel comfortable with it. Portfolio updates will be published every half-month, so expect one soon! They are by far my favourite regular posts on other blogs, so it makes sense to write my own. My parents always told me to spend less than I make, and eventually I’ll do fine. They invest, but really just let me learn on my own as they thought experience was a better teacher. They do mention diversification, but only after you think you have enough and want to protect what you have. Right now, I’m mainly invested in stocks, but might consider real estate if prices become more sensible in my area. You received better advice from your parents than 99% of the population, Henry! Awesome! Maybe you’re right about experience being a better teacher, although I wished I could ask someone I trust about some practical tips before taking the plunge. What stocks are you invested in? European, Asian, North American? How do you track your investments? 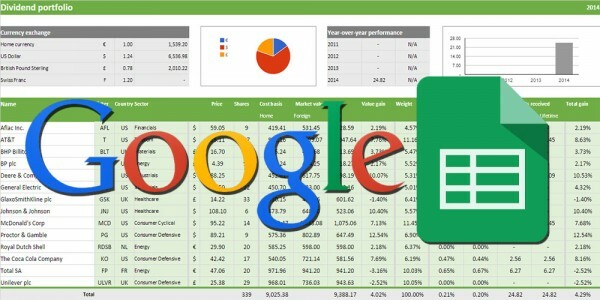 Do you have a spreadsheet or use on-line brokerage tools? Apparently I’m full of questions today so I’ll end by saying, good job doing a mock portfolio first to get comfortable with it. My ETFs are broadly 40% European, 40% US, 10% rest of developed world and 10% emerging markets. As a European I prefer the international diversification over too much home bias. For stocks I’m currently heavy on US dividend growth champions, but that’s mainly because I’ve just started out and wanted to invest in dollars before the euro’s exchange rate took a plunge. Both ETFs and dividend stocks are tracked in an Excel file I made myself. The ETFs are easy enough, but the individual stocks are becoming quite the hassle, so I’m looking to transfer everything over to a Google Sheets file to make use of the FINANCE function. I’ll do a post about this in the future! I can understand why people are nervous about investing. ETF’s are probably a good choice for most investors. People that cannot stand the thought of the value of their investments going down should consider sticking to guaranteed investments. They will miss out on potential gains but I know people that cannot stomach the fluctuations no matter what the upside might be. You are right about ETFs being a good choice for most investors, May! I’ve said it time and time again that in the long-run index funds provide the best returns for people who want a set it and forget it approach. Like you said, you have to be able to stomach the volatility though. I think taking the initial plunge and opening a brokerage account to start investing can yes, be a little bit intimating. Even though my parents did teach me about stocks and I wanted to start investing, I was nervous. Fast-forward three years, and I really wish I had invested more when I started. My investments have appreciated about 30%. That’s a whole lot better than cash sitting in a checking account. I guess the nervousness is normal when you’re going outside your comfort zone, but you can only overcome your fear by actually taking the plunge. 30% appreciation in only three years’ time is an excellent result! Of course, hindsight is always 20/20, so don’t feel too bad that you didn’t invest everything at once. The psychological scar of losing money is far greater than gaining money – a big reason why many people are hesitant to invest their money and/or if they have lost before without truly understanding investments/market history/economics/etc can have a profound effect on their bias towards equity investments. Education and learning are the best tools to get comfortable with investing in the markets. A lot has to do with psychology indeed. Only education and maybe a mentor can overcome a barrier like that. For me it was quite scary too in the beginning, but now I’m more certain than ever investing is for me. How I found out? Simply by trying! What fun is life if you take no risks..however doing a trial run like you did is a good idea to reduce any anxiety about investing. You’d be surprised at how risk averse most people are! I generally think it’s a good idea to try things out before going all in, just to avoid small, but stupid mistakes. No harm done in delaying your first actual purchase by a couple of months. This article is about as good as it gets. I have been saying that every child should get a good education including how to deal with finances and investing well before they get a job or move out on there own. I was lucky that my parents were well versed in investing and saving as well as staying out of debt. I also had a nice class in high school that was fantastic for putting the effect of compounding up close and personal. Thank you for the kind words, Robert! Means a lot to me. 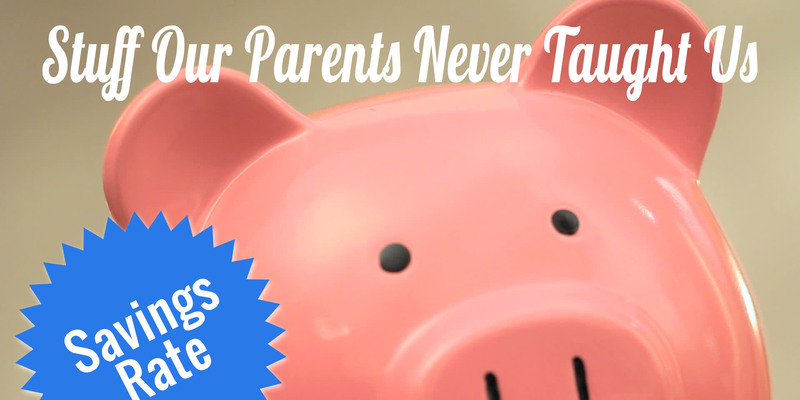 You definitely are lucky with money savvy parents like that. Mine are great with maning their finances and saving, but hardly know anything about investing. They mostly own fixed income investments the bank advises them to buy. Thank you, Mr NMW! It´s so sad that they do not teach stuff like this in school (at least not at german schools). But hey, i learned how to interpret french poems, now that´s something! Financial education is sorely missing in a lot of Belgian schools as well, so I hope to reach at least a couple of youngsters this way.